Updated 02-14-18. For most startup restaurants, surviving the first year of operation is usually a sign of possible long-term profitability. 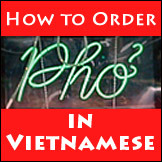 Pho restaurants are no exception. It is important to hit the ground running with as little missteps as possible. 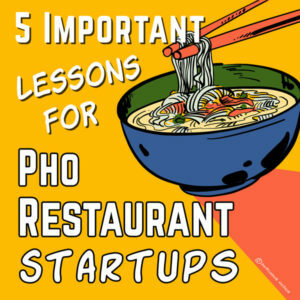 While there's always a certain amount of luck involved, an owner's action has everything to do with his/her pho restaurant's success. From personal experience launching my own pho restaurant concept and helping others opening and running their own pho restaurants, I've learnt many valuable lessons along the way about what work and does not work in a pho restaurant's early days. While I can't give you luck, I can definitely help you take action to increase your chance for success. Here are five important lessons that will help future pho restaurant owners. A startup business must have a solid business plan. But that's only a start. More critically, the business plan needs to be flexible. With fast moving technology, competition and customer tastes, you and your plan need to be nimble and flexible. You want to be ready to continuously make adjustments and improvements to your concept to head off outside challenges. The net benefit is, if you do this regularly and consistently and make it a part of your operation, you can even lead the market as a result. Being appreciative of everyone walking through your back door and giving them all the training and tools they need to become successful. If you need more detail on these then let me know and I’ll expand on them further. When they leave your space. Get these right and you're already way ahead of your competition. 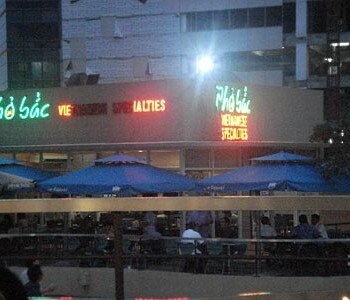 It is true that no 2 restaurants are exactly the same, even for many franchised operations. For small operator this is especially true. You can never be sure of your market and customer base until after grand opening, and possibly months beyond. This doesn't mean I'm suggesting to just open then figure things out. Far from it. 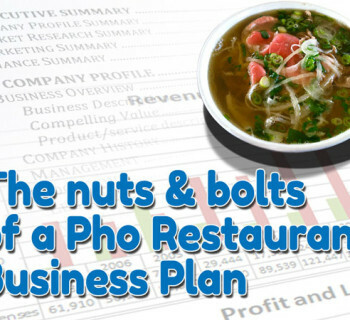 You still must do all the planning, analysis, design of your pho restaurant before you open. The purpose of all this is to keep you from having to make too many changes after opening. The more right you are before opening, the less changes you have to make after. But the world is not perfect, and all restaurants go through adjustment periods after opening their doors for business. When done right, customers shouldn't even know or see the changes, but they will notice continued/better service and consistently delicious food. So understand your concept real well, and look for signs and messages of what your customers are telling you, then make adjustments (up to and including rebranding) to give them what they want. Of course, this works only when you know what your brand is and what you stand for. 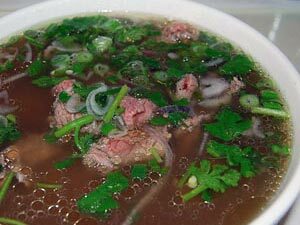 By definition, a pho restaurant (or any restaurant business) is a local business. Local to where they are located. As such, your restaurant business needs the local community to succeed. This is a powerful knowledge and realization (if one hasn't thought much about it), and it should cause a lightbulb going off in your head. There are so many opportunities a pho restaurant can grab when actively taking part in the community. Detailed discussion of this subject is really for another post, but it should suffice to say that reaching out to the local community before, during and after you open your pho restaurant will do a lot of good for your business. So make sure you build "local" and "community" as an inherent part of your concept and operation, then make real connections with the community, and reap the rewards that a community can give a local business.